« LI Who Convention Lands on L.I. I was recently interviewed by Bill Schiffner of Digital Trends who wrote a great article on how to photograph ice hockey. I pulled together a bunch of info from my previous article on photographing ice hockey and Bill had a bunch of questions for me. 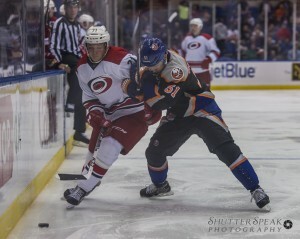 I think he did a great job writing a very informative article full of great tips for shooting the sport of ice hockey. Check out Bill’s great article He shoots, he scores! Tips for capturing the breakneck speed of hockey. Let me know what you think.